Heat pipes are thermetically sealed evacuated tubes normally containing a working fluid in both liquid and vapor phase. The amount of heat that can be transported as latent heat of vaporization is usually larger than can be transported by a conventional convective system with an equivalent temperature differential. This cycling process happens extremely fast allowing the Heat Pipes the ability to be 99% efficient in the transfer of available thermal energy again making them more efficient than other competing heat recovery technologies. 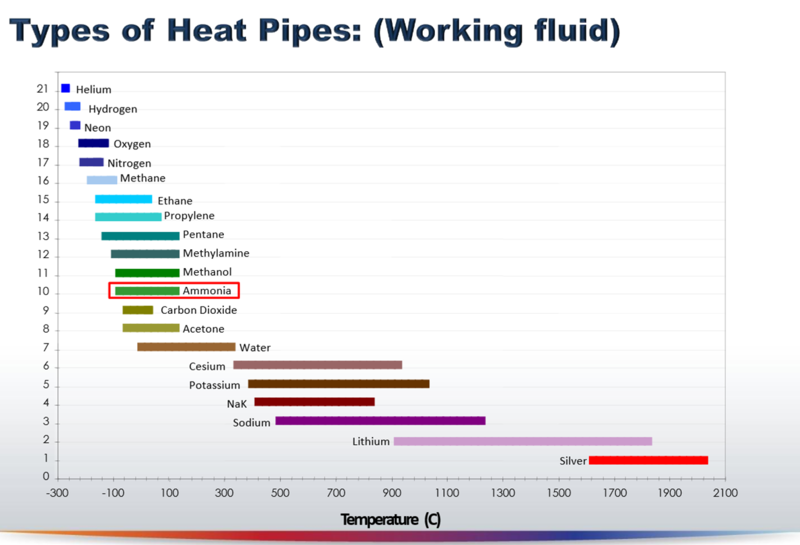 Each heat pipe can be filled with a variety of working fluids to maximize the heat transfer potential according to the particular application. The selection of the correct pipe material and the proper working fluid allows the heat pipe to transfer up to 1000 times more thermal energy than a normal copper pipe of the same dimensional mass typically found in a standard heat exchanger design. As part of an evaluation process, companies should take critical measurements, e.g. Air Profiles, within the production process to identify the amount of energy that can be captured from the heat in the waste energy stream. The available heat, coupled with its mass flow capacity determines the amount of energy that can be captured and returned to the facility for re-use by the same or a completely different process which could be on or offsite; e.g. district heating or power generation.